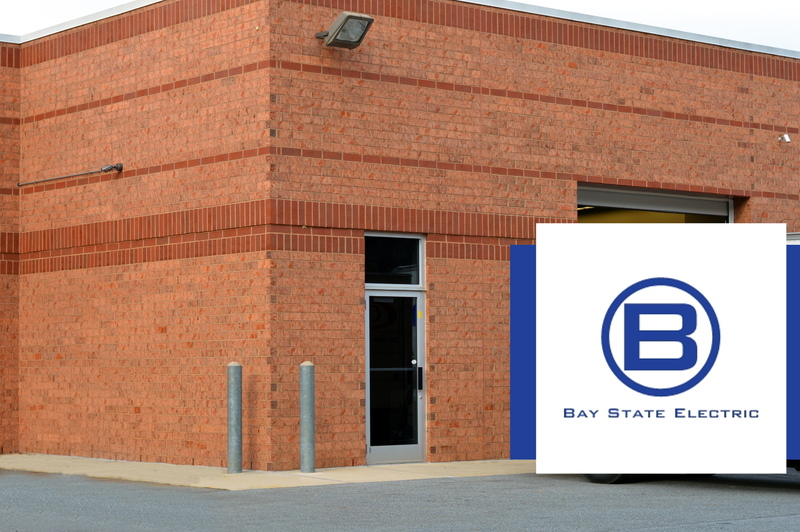 Electrician Tenant Fit Out | Pasadena | Annapolis | Glen Burnie | Arnold | Severna Park MD | Bay State Electric, Inc. When you are looking for Electrical services and a trusted Electrician for your commercial or business tenant fit out in central Maryland you’ve come to the right place. We are the Commercial electrical contractor that’s the perfect size and experience in Maryland. We service all of central Maryland including, but not limited to towns like Towson, Middle River, Essex, Bel Air, White Marsh, Parkville, Perry Hall, Annapolis, Glen Burnie, Arnold, Severna Park and Pasadena Maryland. Our 50 foot bucket truck is just one of the many pieces of specialized equipment that makes us stand out from other Electrical contractors in Maryland. Our Decades of combined experience as commercial electricians in Maryland shows our dependability and success from beginning to the end of the project. Ongoing Electrical maintenance for your facility, tenants and special requests are completed with efficiency as we in a state of constant process improvement in the Electrical Industry. As technology and code changes we are on the cutting edge bringing you services that are familiar with Maryland’s electric inspections. We know your time is important that is why we have a great sized and trained staff of Electricians in central Maryland, Anne Arundel county and towns like, Towson, Middle River, Essex, Bel Air, White Marsh, Parkville, Perry Hall, Annapolis, Glen Burnie, Arnold, Severna Park, Pasadena Maryland. As Electrical contractors in Maryland, we know the stress and experience of selecting trust electricians for your project. Our experience in the industry is complete from beginning to end of a project and continuing into Facility Maintenance. From the single light, outlet and circuit to complete electrical design, generator & UPS systems, branch ciruitry, fire alarms, carbon monoxide detectors, combinations, LED lighting, installations, retro fitting and design. We are the right sized and experience Electricians in Maryland for everything from Saving Money on your Parking Lot Lighting, Outdoor building lighting to the final light bulb in your office! Locally owned and operated Commercial and Residential Electrician in Maryland. If you’re in the process of constructing a space for your company or are renovating a building, then call our central Maryland electricians, so that they can assist in completing the job. Finding the perfect space for your company can be hard and it’s a big investment. Make sure you’re working with the right team, so that your big purchase pays off in the end. We can transform a building so that it aligns with your company’s services and allows you and your employees to easily complete your jobs. While other electrical companies can also help with tenant fitouts, not all come prepared with the experience and industry connections that we do. 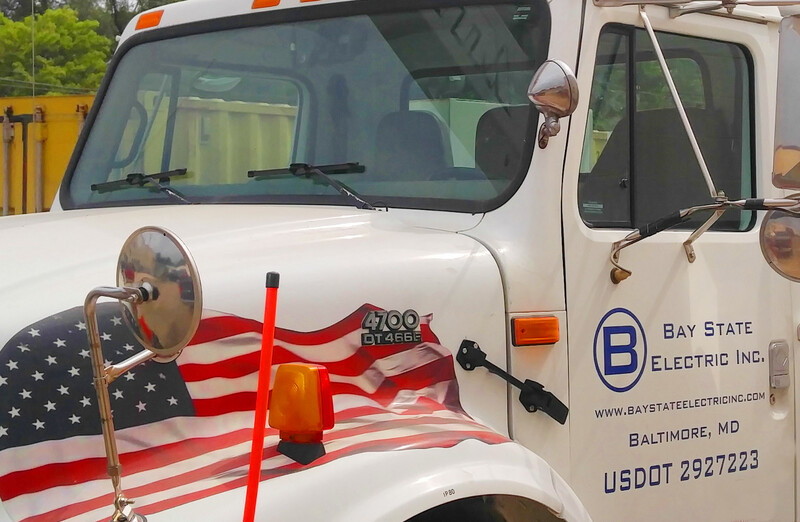 Our central Maryland electricians are ready with our very own 50 foot bucket truck, which gives us the ability to complete even the tallest of jobs, like sign or parking lot light repairs. We can install LED lights or perform LED retrofits to make the space more energy efficient. Our employees are also skilled in generator installations. Basically, if it runs on electricity, then we’re the team for the project. When it comes to finding a group of technicians perfect for the job, look no further. Our accomplished team of central Maryland electricians are fit for any electrical projects.